I can't even begin to ~Express~ my joy over this awesome sale. You know that awful moment when you feel like you have nothing to wear, even with a packed closet? Well I'm here with the cure: Express is having a huge sale! I'm talking 40% off everythingggggg. It's going on now until November 12th, so it's time to get shopping! Express has a pretty intimidating collection, so I, your best pal, curated all my faves to get ya started. 1. A chunky colorblock scarf that will tickle you pink. 2. A V-neck sweater absolutely perfect for layering season. 3. 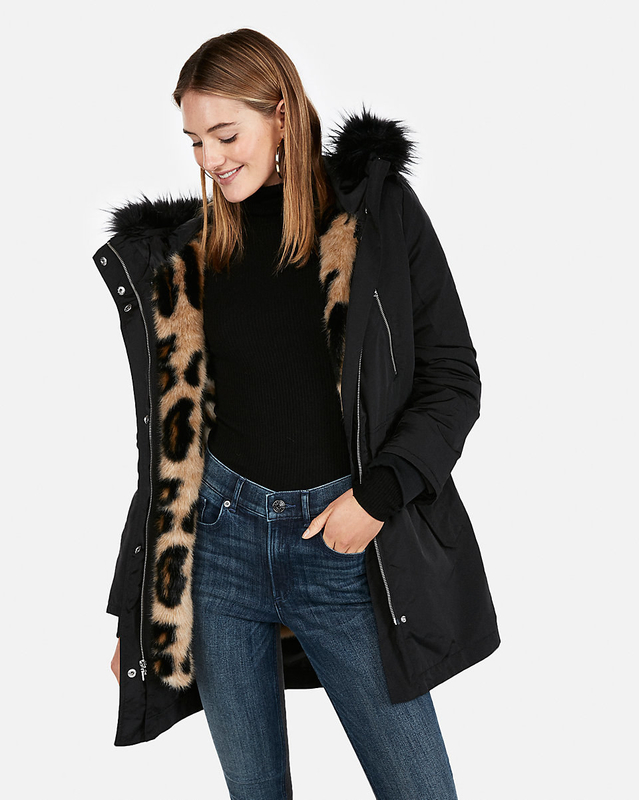 A leopard lined coat you need to pounce on before this sale ends. The lining detaches so you can wear it as a vest! 4. 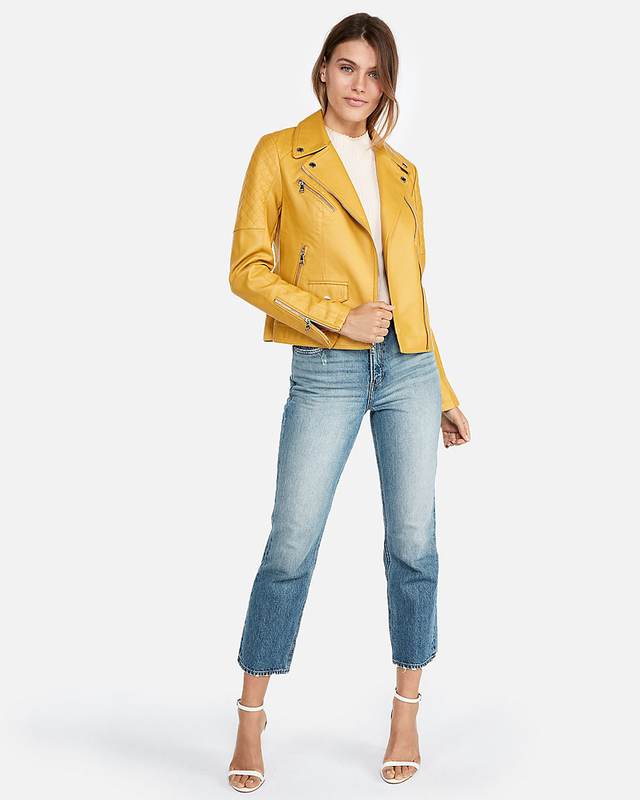 A pair of dark, mid-rise skinny jeans to replace that old pair that currently has more holes than actual denim. 5. A chic sheath dress — say that ten times fast (and then buy it!). 6. A puffer coat you should buy before it starts getting like, really cold. 7. A lace-topped jumpsuit you can wear to work with a blazer and then out on the town afterwards. 8. 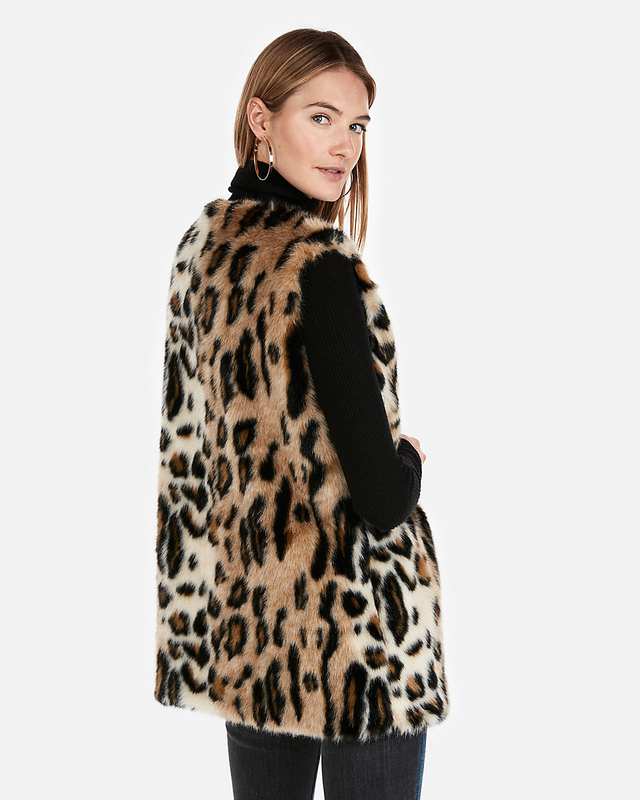 A fuzzy cropped coat that looks way more luxe than it costs. 9. A velvet fit and flare for a subdued holiday party dress that will still get you tons of compliments. 10. An egg-cellent pair of socks to layer under your winter boots. 11. An art deco-inspired dress sure to inspire you to throw your own Gatsby-level shindig. 12. A plaid faux wrap dress, because lumberjacks have some seriously stealable style. 13. A buffalo check fleece hoodie that's making me feel warmer just by looking at it. 14. A pair of faux suede loafers poised and ready to make you the best dressed person in your office. 15. 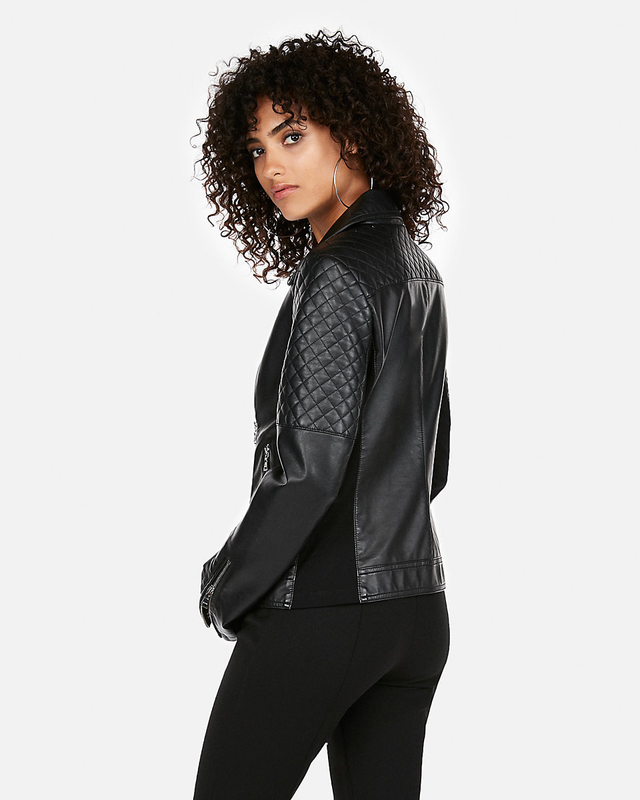 A quilted moto jacket that will have you motoring all over town, just so people can see it. 16. A pair of rhinestone-lined combat boots for tough cookies who still love a touch of glam. 17. A V-neck chenille sweater in almost all the colors of the rainbow. What a good excuse to buy 10! 18. A pair of shiny leggings for people who wanna outshine the disco ball. 19. A simple henley shirt in a nice merino wool blend. This basic is a must-have! 20. A corduroy mini skirt you'll want to slam dunk right into your shopping cart. 21. A puff-shoulder, keyhole blouse that's the ~key~ to your next perfect lewk. 22. 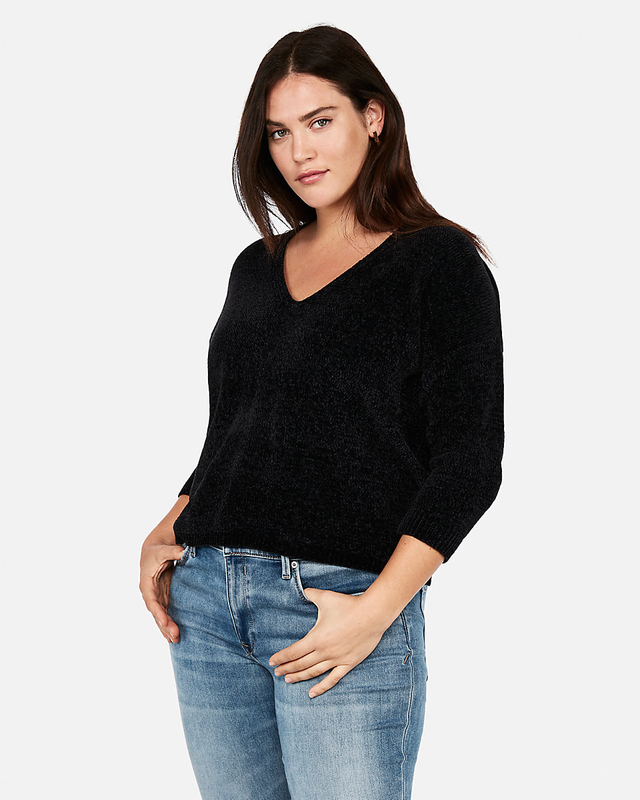 A thermal-regulating sweater great for your inconsistent office temperature. 23. A pair of dangly earrings that will be the finishing touch on every outfit. 24. A tied jumpsuit at a price that will have you jumping for joy. 25. An embroidered floral mini skirt perfect for showing off your ~stems~. 26. A sheer chiffon thong bodysuit you'll never get tired of posing in. 27. And a baseball cap you may really, really need these days.